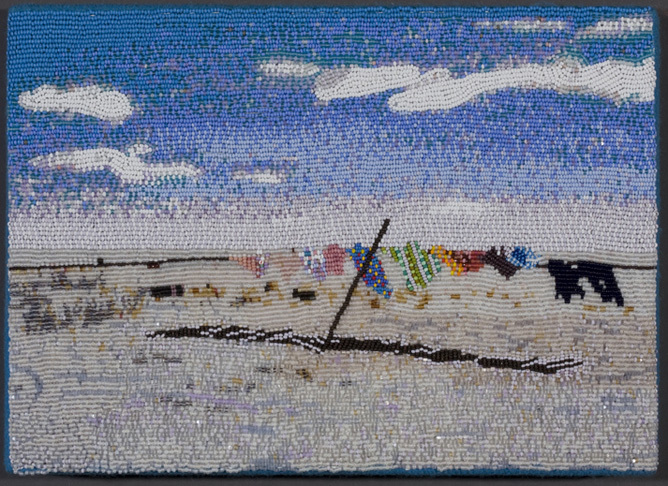 Seed beads hand sewn on felt, 9″x 12″x 2″ Courtesy of the artist. To Corey, if I know something of her. Images emerge from the safe of her soul. The door is open, the kitchen wall disappears. 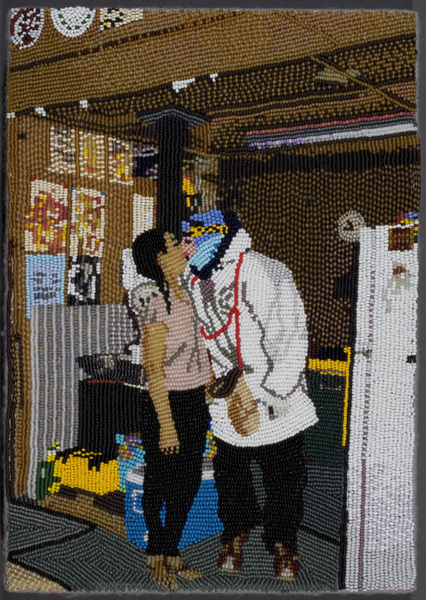 Love-threads grow, perhaps, from the seed beads to grab people and scenes from far, far away. 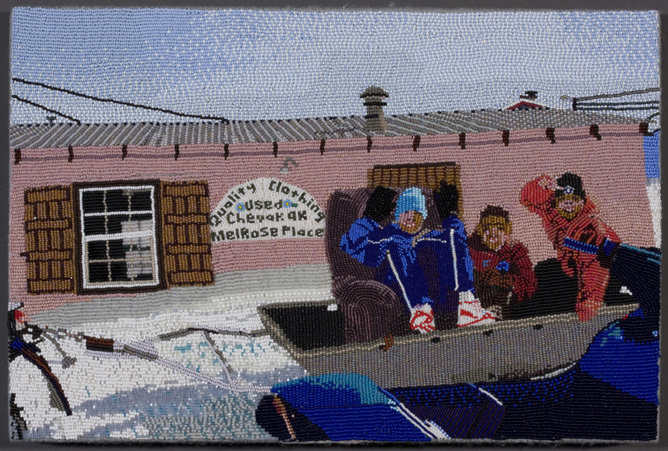 Her fingers sew them into the surface of felt. White fills the artist’s eyes. It’s a blinding space. Light that moves the air with vibrations of other things but is, herself, invisible. Some snow, a jacket, a refrigerator. Like the wind, whiteness is captured through the things she moves, sweeping other colors away. There is not only one person in one soul. One body. One house for many. Posted on March 11, 2015 by turtle2028	This entry was posted in Los Angeles stories, Twilights. Bookmark the permalink.